Vanessa-Mae, a British violinist with album sales reaching several million, has said, “Violin playing is a physical art with great traditions behind it.” The violin, that small string instrument sometimes informally called a fiddle, regardless of the type of music played on it, is the smallest and highest-pitched instrument in the violin family in regular use. It typically has four strings tuned in perfect fifths, and is most commonly played by drawing a bow across its strings. Landes was born to a large musical family and started playing the violin at the age of 3 in Orem, Utah. He gave his first solo recital at 10 years old, performed in the Hollywood Bowl in Los Angeles on the Disney Channel with the Disney Young Musicians Symphony Orchestra, and founded a piano trio that performed actively throughout his teenage years. He also played at the summer festivals in Colorado and toured in Europe with the Brigham Young University Chamber Orchestra. He admits that he did not enjoy practicing the violin growing up, but if it were not for the fact that he is a musician, he would have missed out on a lot of great opportunities to visit many parts of the world. 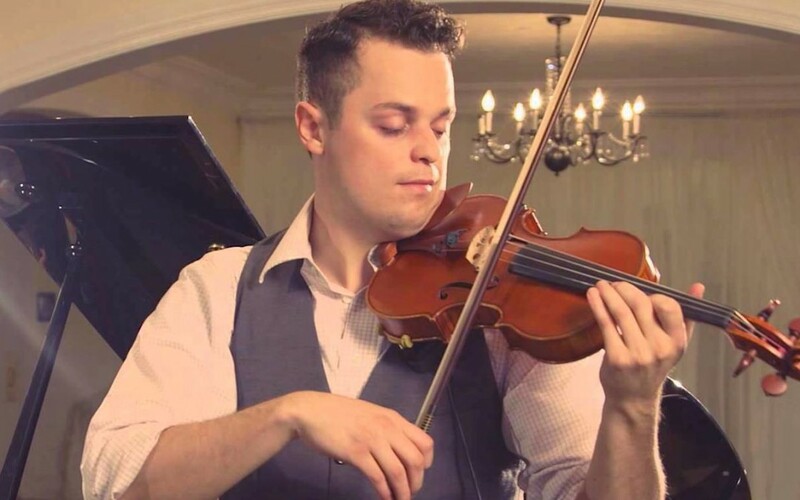 He has had the honor of being the first prize winner at numerous music competitions, and he has performed solo with the Utah Symphony, Utah Valley Symphony, San Diego Chamber Orchestra, BYU Philharmonic, and BYU Chamber Orchestra. As a first violinist of the BYU Chamber Orchestra, he performed in more than twenty cities throughout central and southern Europe. As concertmaster of the orchestra, he gave a concert to a sold-out audience in New York’s Carnegie Hall. We would like to know how much it cost of your performing. If you could give us the details and cost of your service, will be greatly appreciate. Good morning! I am not if Rob Landes will see your comment on this page. It is best to contact him directly through his social media channels – Facebook, Twitter. Instagram, etc. I hope that helps.